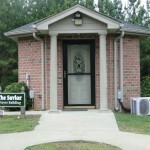 The Worship Center chapel is equipped with kitchen and restroom facilities. 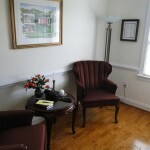 The chapel is designed to be used for worship, prayer services, conferences, workshops, and other professional meetings and events accommodating up to 75 participants. 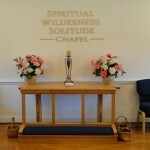 The Savior Prayer Building is a prayer chapel designed for personal prayer and meditation by an individual or small group. The library houses textbooks, PCs, and articles that support self-study and enhance self-development. 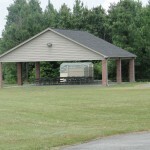 The property contains three large event grounds that can accommodate large group picnics, ceremonies, and revivals. In our endeavor to maintain the solitude of the grounds, revival grounds will only be rented on weekends. You will be notified by the Resident Retreat Coordinator of open and private events that are occurring on the grounds during your stay. 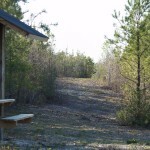 The facility contains well-maintained walking trails on Holy Grounds. 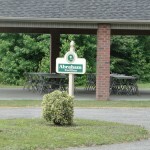 The Abraham Pavilion is a large, covered patio area to the left of the Retreat and Worship Center that can be rented and reserved for outdoor activities, meals, and performances.